Superb performance and calibrated power takes your work or game to the next level. 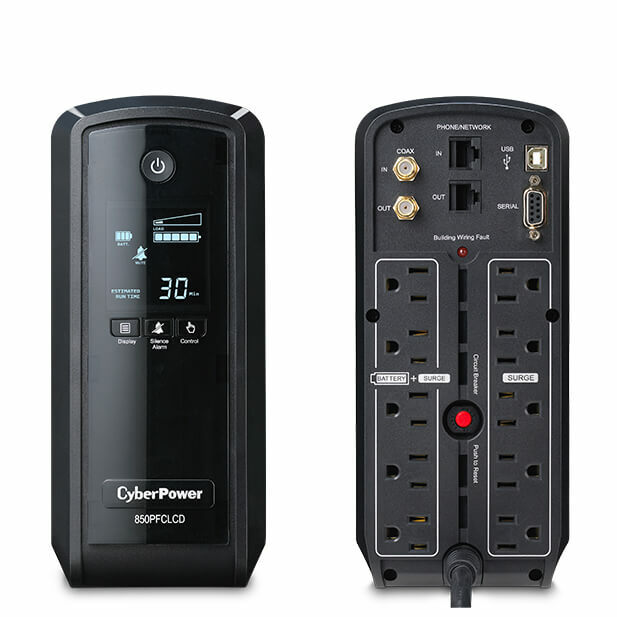 Protect your high-end gaming systems — as well as mid to high-end computer systems, servers, and networking hardware — whether they use a conventional or Active Power Factor Correction (PFC) power supply. Gaming systems and computers with an Active PFC power supply may require true sine wave output to keep devices up and running. Find out who needs it and why. 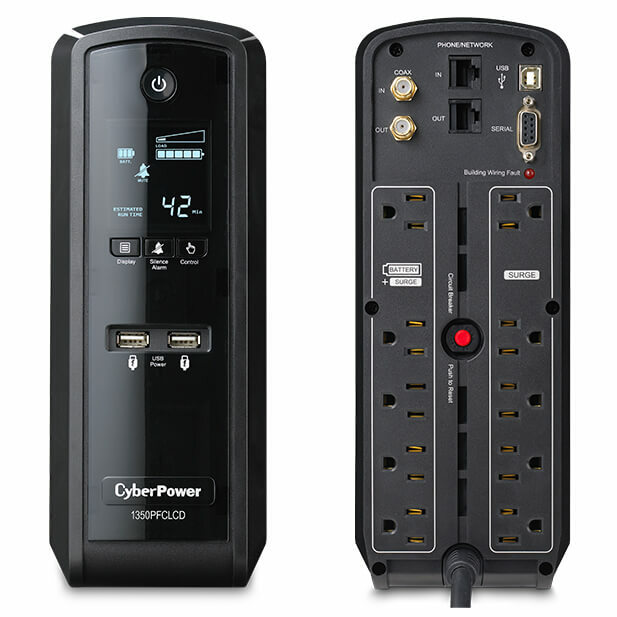 CyberPower PFC Sinewave UPS systems with line interactive topology offer guaranteed power protection for individual work areas, home networking hardware and devices, entertainment electronics, department servers, networking and telecommunications hardware, and equipment requiring Active PFC power source compatibility — including high-end audio/visual equipment. They provide sine wave output and correct minor power fluctuations without switching to battery. 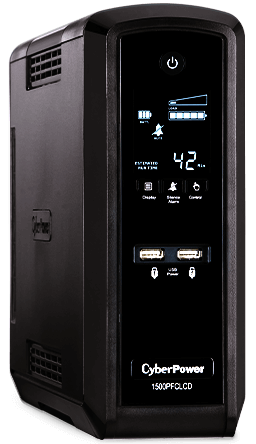 Features include a multifunction LCD panel, Automatic Voltage Regulation (AVR), energy-saving GreenPower UPS™ design, data line protection, and UPS management or monitoring software.